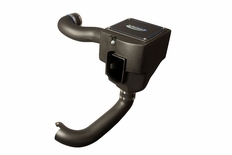 2005-2010 Dodge Charger 5.7 V8 Volant Cold Air Intake5MadhukarJune 10, 2009I bought this product with great expectations and I was not disappointed. I see a increase of 3 miles per gallon more than what I used to get on fuel saver mode and definately an increase in passing power there is no increase in sound from stock. My Only disappointment was that the ram air scoop cannot be installed with someone with the basic tools and no garage as it requires the removal of the splash guard at the underside of the car and thus had to spend half as much money to have the dodge dealership install it as I am under warranty. Other than that this product is just great! 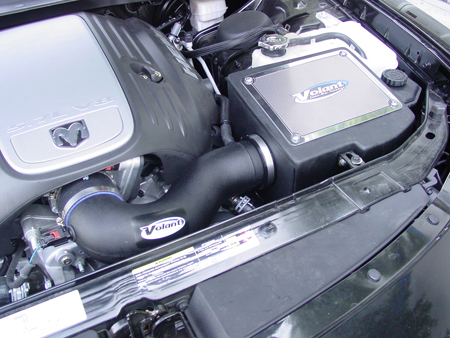 The part number for this Volant Intake is 16857153 and it fits 2005-2010 Dodge Charger 5.7 models.